This article is brought to you by pure, unbridled nostalgia. In an era of product licensing and incessant branding, teams have been eager to keep tweaking their logos, not to find the perfect identity, but to ensure that die hard fans invest in the most current gear, even if it simply introduces some shading around the current mascot or drops a word from the team name. Logos for any institution, be it a sports team, a soft drink company, or healthcare provider are generally at their best when they are simple and meaningful. Well, a lot of sports teams have adopted logos that are complex and meaningless because they look kind of good on a hat. Well folks, lots of the logos below don’t look good on anything, but they provided their teams an identity that no amount of fuchsia or shading ever could. Here are 9 sports team logos that could stand to take a step backward. The new Mavericks logo can be found under the word “busy” in any dictionary. It’s got a horse, a basketball, a star, two words, and four colors. And none of it means anything. The old logo was beautiful in its simplicity. Sports logos shouldn’t go for subtlety, but rather should play to the team name and a regional stereotypes. It’s an “M” with a cowboy hat. Texas has a reputation for being a redneck cowboy state. You can fight that in a political discussion, but sports teams should embrace it. Lots of states don’t have much of an identity, so the teams in states that do should embrace theirs, good, bad, or otherwise. New York? Show a skyline. Florida? Include a sun or an orange in your logo. It’s not rocket science. Rock the cowboy hat. You’re the Mavericks, for God’s sake. This will probably be a divisive entry on the list, but it’s one I feel strongly about. As most everyone knows, the Mighty Ducks team identity stems from a Disney movie about hockey. Why the team felt this was OK for the first 15 years of their existence and then changed their minds more is beyond me. Yes, the impetus for your name was a kid’s movie. But the logo, name and colorway were actually pretty cool. You’re not New York or Chicago. Actually, Anaheim isn’t even Orlando. Anaheim is a cartoon city, so it stands to reason that they would have a cartoon mascot. 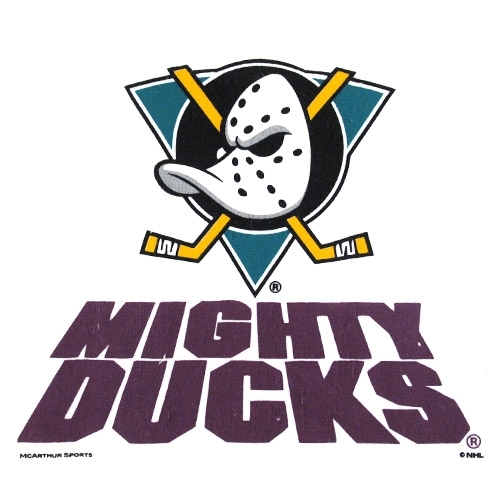 They have since ditched the “Mighty,” the duck logo, and the colors. Congratulations, Orange County. You now have a team image that is somehow more convoluted than the Los Angeles Angels of Anaheim. Ugh. The NHL, in its marketing frenzy during the mid-90’s, kickstarted the movement of ornate, fluorescent logos with the introduction of the San Jose Sharks logo. Since then, NHL teams have gone two different ways, with the Canadian and more traditional US teams keeping logos similar to the ones they had 70 years ago, while teams in emerging markets like Florida and Phoenix went with painfully bleeding-edge graphic designs. But not Vancouver. Vancouver held steady with their “Boogie Nights”-esque logo that looked more like a roller rink sign than a team name. Apparently a Canuck is now a shark or a whale, which is disappointing, because I was always a little intrigued by the fact that the old logo was shaped like a skate. One more instance of subtlety going by the wayside. If metallic gold is part of your uniform, and it wasn’t 50 years ago, you probably are trying too hard to create a sophisticated logo. 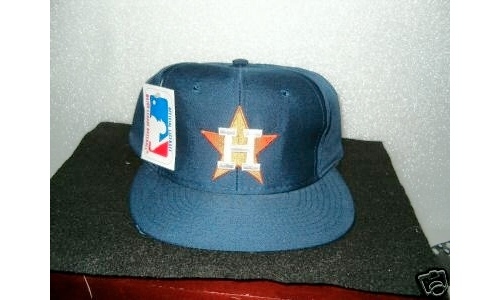 For some reason, it seems that the ugliest logos are among the most revered nostalgic in sports, and fewer logos and uniforms were uglier than the late 70’s/early 80’s Houston Astros “sunset” schemes. The simple star and “H” made sense as Houston was home to NASA during its heyday. The Astros’ new logo looks like the marriage of logos from a casual dining restaurant and a truck stop chain. I don’t know why so many teams decided to abandon their bright orange heritage in recent years (Broncos, Padres, Astros, Cavaliers, Edmonton), but it needs to come back in almost every instance. No one wants to forget the legacy of the past ten years or so more than Cleveland Cavaliers fans. They were a tortured team in the 70’s and 80’s as well, but they didn’t have the best player in the NBA stomping on their heart, so it wouldn’t hurt to revisit that simpler time. Let’s go back from the “Cavaliers” to the “Cavs” and pretend it’s 1981 and King James hasn’t even been born yet, okay? We can then look forward to the halcyon days of Danny Ferry and Brad Daugherty. While the new(er) Broncos logo is pretty sharp, the introduction of it over 10 years ago violates the “if it ain’t broke, don’t fix it” philosophy. The old logo was perfect with the royal blue, bright orange, bucking bronco, and a big old-school “D.” The updated logo kept much of the spirit of the original, but was tweaked to keep up with the new era of logos with a more sophisticated color palette and a more intricate image of a Bronco with what looks like streamers attached to it. You can fail by taking the simplicity of a regional reference to the extreme. 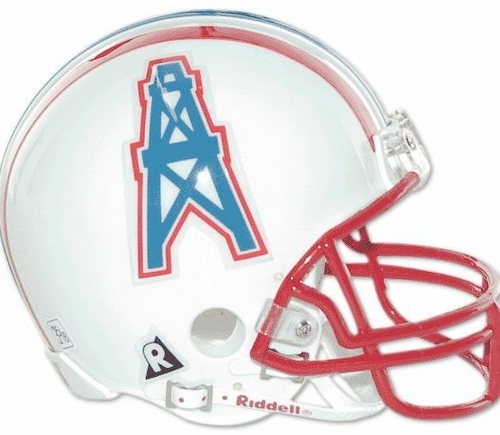 This is also an indictment of the new incarnation of Houston’s NFL team, the Texans. Yes, you are Texans. But so are the Spurs and Cowboys. The Raiders aren’t calling themselves the Californians. The old logo was great. The white, powder blue, and red meshed well in the iconic simplicity of an oil derrick. Instead, the simply played off of the state flag, which seems a little lazy. Granted, it was a new team, but find a way to get back to the old logo. It rocked. Also, I think they should try to resign Warren Moon and Clay Matthews to fully embrace the retro phenomenon. Racially insensitive? Yeah, it is. But nostalgia has a way of clouding one’s judgment. I’m aware that the whole “it’s part of our history” argument has been contentious when it comes to some states’ and universities’ use of the Confederate flag, so the hypocrisy is evident when I say that I love the old Indians logo. But there is also a hypocrisy in making a more palatable logo while your team is still named the “Indians.” If they want to change the name too, that’s probably fine, but changing only the logo is a half-measure that doesn’t do much. As long as the team is named the Indians, I don’t think it’s unreasonable to have an Indian chief as your logo. I find the banality of a cursive “C” to be far more offensive, but I’m not Native American. What was perhaps the most awesome logo in all of sports is now thrown by the wayside in favor something that takes the “let’s pretend we’re in the future when we design our new logo” school of thought. Note to all graphic designers: Taking a sports logo and adding a ton of shading making it look like it’s flying across a helmet, hat or jersey, isn’t awesome. You know what’s awesome? Patriot Pat. 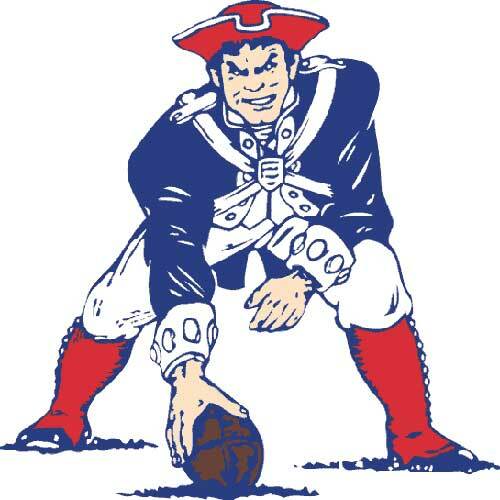 An angry-looking minuteman in a tri-corner hat in a three-point stance wearing red, white and blue. It’s so awesome that the TPS Awesomeness Scale is starting to shake and smoke, so I’m going to stop talking about it.